Turnstiles were clicking in earnest last year. The Themed Entertainment Association is out with its latest report card on the state of the amusement park industry, and the numbers are encouraging. The world's 25 largest theme parks saw their attendance rise by an average of 4.8% in 2011. A good chunk of that growth came from Asia, where the largest attractions saw a 9.4% spike in admissions. However, attendance moved higher even in sovereign-debt-crisis-ravaged Europe. In North America -- where movie theater operators suffered their worst year in nearly two decades -- the continent's 20 largest parks came through with a 2.9% uptick in turnstile clicks. Whether it's regional escapism or just a natural desire to go have a good time outdoors with friends or family, the larger amusement parks seem to have made it through 2011 in much heartier shape than many of the global economies. It probably isn't a surprise to see the Disney (DIS) at the top of the pack. The top eight most visited theme parks last year were all Disney-affiliated properties. Disneyland Paris and the company's two affiliated parks in Tokyo join five of Disney's six domestic theme parks on the list. The lone exception is Disney's California Adventure, checking in at No. 14. And this should be a good year for the beleaguered gated attraction. Disney's California Adventure's new Cars Land opens later this month, along with the stylized remodeling of Buena Vista Street and Carthay Circle Theatre. Cars Land will be the big draw, complete with an E-ticket ride themed to Pixar's popular Cars franchise. If the park needs inspiration, it may be able to find it at Florida rival Universal Studio's Islands of Adventure. The park saw a whopping 29% spike in attendance last year after opening a well-received Harry Potter addition. 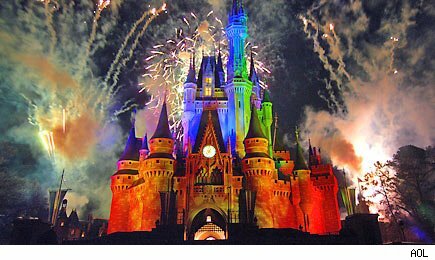 Will Disney Help You Retire Rich? Themed Entertainment Association's report doesn't have a lot of insight when it comes to regional operators Six Flags (SIX) and Cedar Fair (FUN). Neither of the chains operate any of the 25 largest parks in the world, though Cedar Fair's Knott's Berry Farm and Cedar Point -- and Six Flags' Magic Mountain -- do make the cut among the 20 most visited parks in North America. Then again, both of those operators already put out their 2011 financials several months ago. Since Six Flags and Cedar Fair run mostly seasonal parks that aren't open year-round, their season is just getting started. If 2011 was any indication, 2012 should be another strong year for all of the world's amusement parks. Motley Fool contributor Rick Munarriz does not own shares in any of the stocks in this article, except for Disney. He has been running an amusement park directory at ParkOutlet.com since the 1990s. The Motley Fool owns shares of Walt Disney. Motley Fool newsletter services have recommended buying shares of Walt Disney.